Nearly 1,300 civilians have managed to escape from several villages in Wadi al-Bardi region in Western Ghouta, which are still under the control of Fatah al-Sham Front (previously known as the al-Nusra Front), local sources disclosed. The sources said that 1,300 civilians have left their villages in Wadi al-Bardi region to al-Rowzeh region near Damascus city within the past 48 hours. 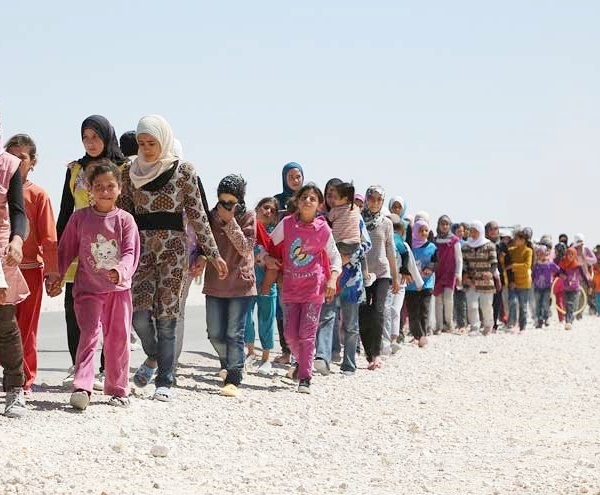 They added that Syrian army soldiers and the Syrian Arab Red Crescent have welcomed the fleeing civilians and have relocated part of them to safe centres in Dhahiyeh al-Qodsiyeh and in al-Daymas, Fars reported. Fatah al-Sham terrorists are not included in the ceasefire plan and they have also refused relocation from Wadi al-Bardi region and threatened to destroy the water reservoirs in Ein al-Fijeh region.